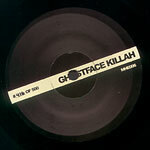 MHE remixes Ghostface Killah. Heat! B-side includes instrumental. Limited to 500 pressed, hand numbered. Out of print.